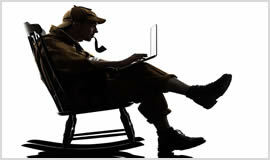 Are you looking for an online detective in Leicester? We offer private detective services including matrimonial investigations, corporate investigations, legal enquiries, vehicle tracking, tracing debtors, missing person's search, employee and nanny monitoring, fraud investigations, asset tracking, PC forensics, surveillance, lie detector tests etc. over the last twenty five years we have been offering unrivalled services to all our customers. Today we maintain a user friendly website where anyone who is in need of private detective services online can just drop by and enquire about any service they want to know more about. We maintain a live chat on the website for timely communications.